Long term readers will know I am a MAC girl through and through but I am not shy in stating that I do find their physical make-up counters a little hit and miss - some are really busy and not great for someone like myself that is easily overwhelmed and then there's the infamous stands that are populated with beyond uninterested staff. Let's not beat around the bush, we know it is an issue and as such most of us, unless blessed with a great local MAC counter will chose to shop online - it is the future (or maybe even the now) after all. Well now you can add a MAC lipstick or two to your next clothing order as MAC Cosmetics is now available via ASOS. Now I know what you are thinking, MAC Cosmetics have been online since before most of us as much as glimpsed at a beauty blog, dusting off your debt card for a new lip gloss or two isn't anything new. True, however there are added bonuses of shopping via ASOS opposed to other online retailers, with the most obvious being ASOS Prime - hello free next day delivery (something the stand alone MAC website doesn't typically offer to my area and even when they do, it is with a hefty fee) and of course the reward system that results in the odd £5 off voucher here and there (again not something MAC offer). Then there is of course the glorious discounts ASOS offer time and time again; from a permanent 10% off for students, to the odd 20% off code that graces our inboxes occasionally, there's money to be saved. 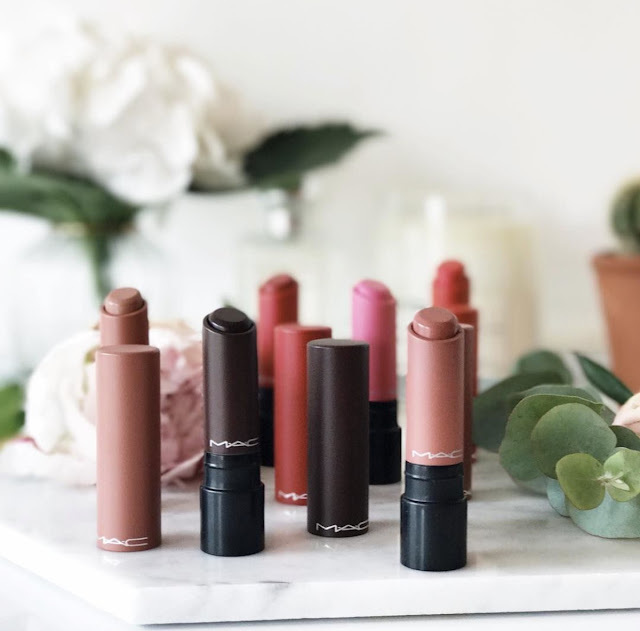 It also doesn't hurt to have another MAC stockist to hopelessly search when trying your very best to hunt down a sold out and very limited edition make-up item, that you just know you couldn't live without. I know what you are thinking - "I bet this is an advert"? Nope, only in my deepest and wildest dreams would either brand sponsor me, rather this is just a heads up from one beauty junkie to another. You can find no less than 600 MAC lines via ASOS here - link.